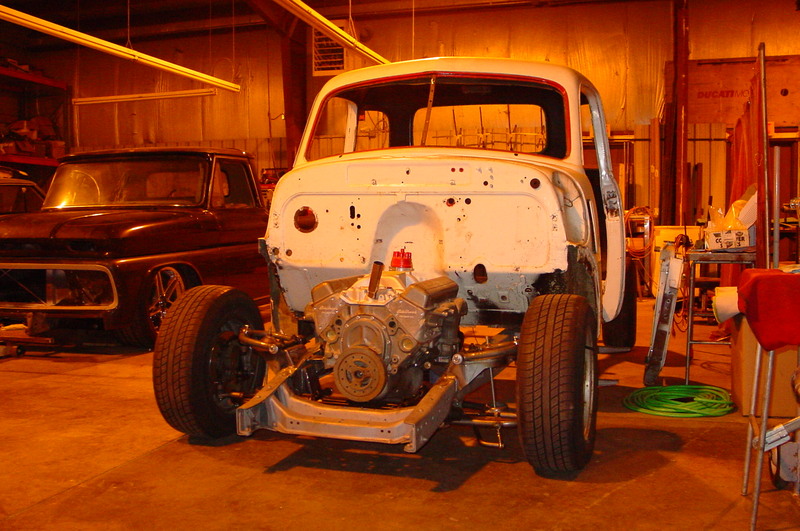 Converting a 49 Chevy pick-up to independent front suspension with disc brakes, from the stock straight front axle and drum brakes. Adding a four link rear suspension with coilovers and a new Ford 9" in the rear. Boxing the frame in the critical structural areas. We also repaired some rusted holes in the frame. A slight chop to the top may be on the agenda next. The top has now been chopped 2 inches. This gives the truck a good look without being two extreme.